Katharina Meredith holds a BA in Psychology, a degree in hotel management, has school administration experience and is a published author with a focus on outreach and education. From age 10 to age 20, she grew up in a small New Age cult, where she was separated from her parents, cut off from the outside world, taken to three different countries and helped build a time machine. The time machine never worked, and the guru eventually went to jail for child abuse. She is currently creating a workbook for recovery after group coercion, a book on undue influence and autonomy and a freelance writer on totalist groups and extremism. In the fall of 2019 she will pursue her PhD in psychology. She offers psycho-education via video conferencing, conducts annual workshops in Atlanta, USA and Berlin, Germany, and is a support group facilitator for victims of interpersonal violence. Her German website is katharinameredith.com. She also created the website cult-talk.com in an attempt to combine academic knowledge with personal experience. The website has a section specifically for people who were raised in totalist groups, including tips for partners of former members and positive messages for how to get going and live on one’s own terms. 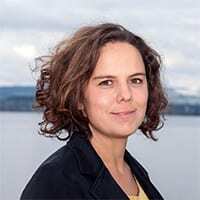 Besides the Open Minds Foundation, she has worked with the International Cultic Studies Association, InfoSekta, the Women’s Resource Center, the Eve Center, and a refuge organization in Switzerland. She does outreach at schools and speaks at universities and other functions. She lives in Atlanta with her husband, two children, two cats, her therapy pug, and a fish. Her hobbies include eating, traveling, writing poetry, talking to people, painting, and reading fantasy novels.